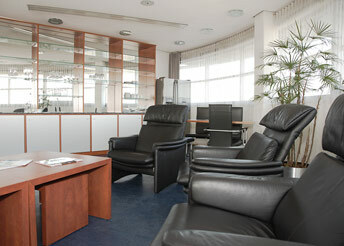 Pilots treasure the relaxation room in Stuttgart's GAT, above all for night flights with a stopover. Situated airside, it is easy to get to without having to go through any more security checks. Even when the time is too short for a day-use room, pilots like to have the amenities provided by this small hotel room: An integrated bathroom, TV, free WLAN and minibar with fresh coffee are the benefits of a fitting retreat for pilots. They report for their next flight refreshed, recovered and concentrated.